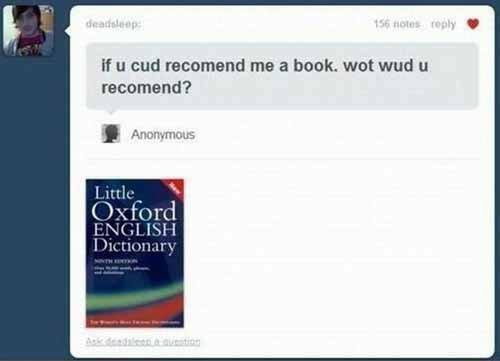 This entry was posted in LOL and tagged funny pics, Good choice!, Humor, lol, recommending books. Bookmark the permalink. [ Smiles ] Actually, the Oxford English Dictionary is a good book to have around.